When you’re looking for the best sewing machine to create your own fashions or home décor items, the market seems overwhelming. 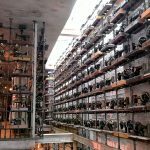 There are new models of sewing machines released to the public every year, and some are from large, well-known manufacturers. And others produced by lesser known or foreign concerns might offer features you’re not familiar with. However, most of them will offer the same basic features as any others in their price range. Even the best sewing machine may provide a trade-off of benefits at the sacrifice of others, such as sturdy construction or dependable hardware. Occasionally, one or two particular models will stand out among their peers. It can be very confusing to find a model to fit your needs. In this article, we’re going to show you what we consider the best in each price range. This doesn’t necessarily mean that it will be tailor-made for your personal sewing requirements. After all, everyone’s needs are different. But hopefully, this article will help you make the right decision for your own sewing needs, feature requirements, and budget. We also hope to introduce you to a feature or two that you may not have considered, but now realize will help you greatly in your sewing endeavors. Here are a few questions you may wish to ask yourself before you make your investment. Are you a beginner or is this a gift for a beginner? Think about how often you’ll be using your machine and what you’ll be using it for. Do you plan to work with heavy materials like denim, leather, or canvas? If you’re planning to turn your skills into a home business, you may need to perform specialized tasks, like embroidery or quilting. Most importantly, ask yourself how much you want to spend on your new sewing machine. Let’s start with something basic but practical. If you’re just getting started, what you really need is the best sewing machine that combines simplicity, ease of operation, and reliability. An expensive and complicated model may last you forever, but probably offers you more options that you’ll ever need. Until you’ve outgrown your primary machine by accumulating more know-how, buying an expensive computerized machine isn’t necessarily a wise decision. Not that the Brother XM2701 will hold you back as you grow. It has enough stitch options and accessories to be right there by your side as you evolve to more complicated projects and a higher level of expertise. You can grow from “sewer” to “sewist” for under a budget friendly price. 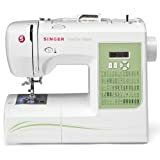 When it comes to getting your money’s worth, the Brother XM2701 includes loads of features you don’t find on other beginner sewing machines for much more money. The Brother XM2701 is a popular choice for people just beginning their voyage into the world of serious sewing. It comes equipped with 27 built-in stitch patterns and 63 stitch functions. These are more than enough stitch types to complete your projects, but still not so many that you are overwhelmed by complicated settings and options. Even the most accomplished sewists generally don’t use more than a handful of stitches in the course of their regular projects. But it is nice to know that they are always there in case you want to try something a bit bolder. Other features are a free arm for easy stitching of sleeves, pant legs, and children’s clothing. The free arm also houses a storage area so that you can maintain a tidy work area. It also comes complete with five presser feet (buttonhole, button sewing, zipper, blind stitch, and narrow hemmer), bobbins and needle pack, a screwdriver, spool pin, and a darning plate. All are valuable notion items, even if you don’t rely on them every day. Lastly, there is a bright work light to illuminate your space. The only thing you need to get yourself going will be thread and material. Affordably priced, easy to use, and built to last, the Brother XM2701 is one of the best beginner sewing machines you can buy. One of the best sewing machines with a mid range price is the 7256 Fashion Mate from the name synonymous with quality sewing machines, Singer. Initially released in 2009, the Singer 7156 is an upgraded version of the 7466, but if you look at both, you will see how extensive the redesign is. It is more rounded and has a more stylish appearance, right down to the splash of green across the bottom. Looks don’t matter much if the performance suffers, but that doesn’t mean your machine has to be clunky and have an industrial appearance. Included in this model are 70 built-in sewing stitch patterns, from the most useful to the most decorative, including stretch stitches. You’ll also find one-step buttonholes that come in six different designs. Whether you’re hemming, altering, quilting, or creating a wardrobe from scratch, the stitching selection of the 7256 will make it quick and easy. You can adjust these select stitches, like a zigzag stitch, for example, to accommodate up to 7mm in width and up to 6mm in length. It even comes with a stippling stitch that allows you to create personalized designs in your quilts. The stippling stitch will enable you to create these artistic expressions without tedious and time-consuming hand stitching. In addition, you don’t need to refer to the manual to find out how to create the individual stitch settings. The stitch patterns are printed right in front of you on the machine. Now, you won’t have to go online to look up the settings every time you begin a project if you misplace your manual. The Singer 7256 includes four snap-on presser feet: general-purpose, satin stitching foot, blind stitching, and a buttonhole foot. You can also purchase optional feet, such as the “even-feed” walking foot and a ruffler foot. The controls on the 7256 consist of four buttons around an LCD screen. This configuration is particularly prevalent on a host of models made in the past several years. It’s not only intuitive but also easy to learn and will help you change the stitch selections and settings very quickly. Along with the simplicity of operation, there are also a lot of extras built in to make setup, threading, and typical sewing tasks as quick and uncomplicated as possible. Automatic features such as the needle threader, lock stitch, tie-off function, and bobbin winder keep things simple. The drop-in bobbin, horizontal threading, see-through bobbin cover, and six segment feed dogs are nice additions, too. You’ll also find two built-in manual thread cutters (one on each side of the presser foot shank). The housing is high-quality plastic, but it has a sturdy metal internal frame for durability. It sews delicate fabric like chiffon and crepe, but can still handle everyday material such as knits, jersey, and a full variety of heavy cotton fabrics. Flexibility makes the Singer 7256 the best sewing machine in its price range. This Janome model is a hefty sewing machine, designed for a full range of sewing jobs. It is sturdy and can easily handle heavy layers of denim, while also being capable of stitching delicate satin material. The Janome 8077 comes with 30 built-in stitches, six styles of one-step buttonholes, and 15 needle position settings. There are quite a few quilting stitches and also a few decorative satin stitches. You’ll also find the most critical utility stitches, garment construction stitches, and several buttonhole styles. Along with a general-use foot, it also has three specialty feet, including satin stitch, automatic buttonhole, and a zipper foot. The presser foot is adjustable to three distinct height settings. The standard “down” position, “up” for manipulating fabrics, and one “extra high” setting for working with thicker layers of material. The presser foot pressure is automatic, and while not manually adjustable, the Janome 8077 is designed to handle everything from sheer fabrics to heavyweight fabrics. Speed, durability, and a wide range of options make the Janome 8077 the best sewing machine for ambitious newcomers. The most inconvenient tasks when getting ready to start a sewing project is always the process of setting up the machine. It’s always tedious to spend half an hour or more winding the bobbin, threading the machine, pulling the bobbin thread up, and adjusting the tension of the top thread. However, with the Janome 8077, all of these tasks have been made virtually effortless. You can let the machine do the work! The automatic bobbin winder will stop whenever the bobbin is full, and the drop-in, jam-proof bobbin handles pulling up the bobbin thread for you. The automatic needle threader makes for one of the most frustrating jobs connected with sewing, especially if your eyesight isn’t the best, but on this model, it's as easy as pushing a button. There are several pre-set features for you to choose from. With just a push of a button, you can make your machine come to life. For example, the “Start/Stop” button lets you sew with the push of a button. No foot pedal needed! The “automatic reverse” button is located above the needle arm, and the “needle up/needle down button will benefit you greatly when negotiating tight corners. The “auto lock” button will tie off your stitches, and the “speed control slider” can adjust the speed of the action so that even a first-time rookie can keep up with the action. This handy feature makes this machine ideal for teaching your children how to sew. There is also a very nice sized “throat space” (the area between the arm and the base) and an excellent feed dog, which has seven points of contact in the pattern for consistent movement of the fabric. One of the most appreciated features is the see-through bobbin cover that lets you monitor how much bobbin thread you have remaining. The extra bright LED over the arm illuminates the workspace, and a sturdy carrying handle allows you to transport your unit from place to place easily. The Brother PQ1500SL High-Speed Quilting and Sewing Machine is a beast. While not being able to brag of a lot of fancy features and intricate pre-settings as the rest of this list, if you have heavy-duty sewing to be done, this is your machine. The “dream machine” of the quilting community, it is one of the most reliable and elegant models Brother has to offer that is likely to show up in the sewing room of serious quilters and seamstresses worldwide. Precision at high speed makes the Brother PQ1500SL the best sewing machine for professional and would-be professional sewers. As this is a “straightforward” machine, it only fits that it receives a “straightforward” review. So, let’s get right to the core features. The Brother PQ1500SL is a high-speed, straight stitching machine that can sew up to 1,500 stitches a minute! It comes with an adjustable "pin feed" system. This is a single pin that extends from beneath the machine that allows you to move all the layers of your quilt together or to move other materials without leaving feed dog marks in the nap. Also included are four feed dog settings for precise and stable fabric control, along with a bed extension and knee lifter for quilting jobs. It also boasts full-range foot pressure adjustment and an automatic thread cutter. The Brother PQ1500SL houses five bobbins so you’ll always have a consistent flow of thread, and the automatic thread cutter saves time hunting for scissors. And best of all, Brothers' 25-year limited warranty includes free technical phone support for the life of the unit. Which Is the Best Sewing Machine for You? There are hundreds of machines on the market, and they come with a tremendous selection of features. It seems that some are so simple that you can just plug them in and start sewing immediately. Other units look so complicated that they seem hardly usable without hours of training. And considering the wide range of price points, it’s no wonder that it’s so difficult to narrow down which sewing machine is your best option. The best sewing machine for you will be based on both your level of skill and your ambition for future projects. If you plan to keep your sewing needs basic and just use your new machine for general stitching and mending, you may not need to look further than the Brother XM2701. However, if your range and ambition go a bit farther than that, and you plan to do more intricate and complicated work, maybe the Singer 7256 Fashion Mate will suit your needs. If you’re planning to make some money from your talent, you may want to invest in something like the Janome 8077. It will give provide an adequate return on your investment along with the flexibility to take on more complicated jobs. And, finally, if you’re already a professional and need something sturdy and fast to meet those challenges, you simply cannot do better than the Brother PQ1500SL for long-term dependability and raw sewing power. 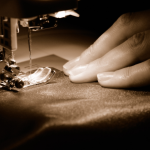 It doesn’t matter if you choose a machine for clothing repair, for complicated projects or to start a home business. There is nothing like the satisfaction of repairing and creating by your own hand. And if you have a favorite sewing machine, let us know which one has met all your expectations. If you've discovered any fabulous new features on your favorite machine that you just can't do without, tell us in the comments below. We'd love to hear feedback from our readers.